Aeurtum's first Doom album is well-crafted, balanced and eminently listenable. Aeurtum have, simultaneously, come both a long and a short way from their earlier incarnation as a Death metal duo. Now Jon Collins' solo project, the Birmingham-based band has steadily drawn on more of a darker, doomier and more melodic mantle, to the point that this second album, 'The Depths Of Which These Roots Do Bind', takes a full step across the border. That's the big change; but the truth is that it had been signposted as far back as the demo EP 'Within This Enervation', with its qualified tag of "Progressive Melodic Death", and tracks such as 'Dissolved In Emerald Waves' to back that description up. Revisited and remastered for the special edition of debut full-length 'The Fall', it pointed quite openly towards the sort of hybrid Death/Doom territory occupied so excellently by, for example, The Fall Of Every Season. Where 'The Fall' still retained a distinct split between brutally aggressive and mellower tracks, 'The Depths...' replaces that with a more mature, and even, blend of influences throughout. "Organic" is the word which most readily springs to mind, reinforced both by the album title and the natural textures of the cover photograph: imageries which also conjure up thoughts of Woods Of Ypres and early Agalloch. Both of which impressions - and comparisons - persist, to a point, when moving from the packaging to the sound. Not as world-weary and self-centred as the former, and without the folksier elements of the latter, they're strong influences rather than the whole picture. For a solo project, the musicianship is exemplary: full of perfectly-layered and seamlessly-blended depth that - despite a controlled tightness and integration - flows along with a delightfully uncontrived feel to it. Guitar-led, it runs the gamut from acoustic passages to sharp-edged, mostly clean riffs to soaring, prog-rock lead lines, creating the same sort of melodic, melancholic, atmospheric mixture of light and shade as the above-mentioned bands. When it picks up the pace, it's with a similarly blackened aesthetic: forceful, but neither brutal nor aggressive enough to detract from its accessibility. 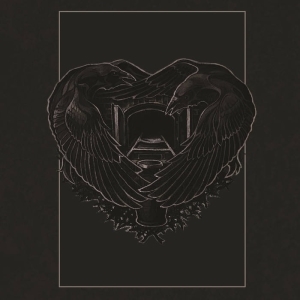 The vocal palette distances itself somewhat from direct comparison, and adds an individuality to Aeurtum's sound - Collins' alternately deeper and more squalling harsh vocals being supplemented by guest appearances from ex-band member Brad Thomas, and by female vocals courtesy of Alice Collins. The latter are largely wordless and choral interjections, but equally, when sung, they come across as a natural addition to the musical tapestry rather than a 'beauty and the beast' duet. Captured and presented with a clear, well-produced mix, there's also notable use of spatial separation, particularly in the vocal layers, to create some interesting binaural effects. 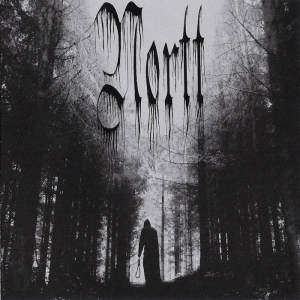 Particularly absorbing when played through headphones, the distinct multiple voices add an undercurrent of darkness and eeriness even to the otherwise quite tranquil melodies of tracks like 'Within The Ashes Of The Deadwood' and ' Shade Of A Behemoth'. Again, not enough to affect accessibility, but sufficient to put an edge to it: if the album as a whole takes inspiration from nature, those are the reminders that even the most beautiful of vistas are not without concealed, half-sensed, secrets and dangers. 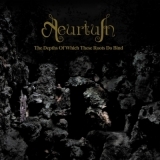 Compositionally, 'The Depths...' measures itself well, gathering momentum as it progresses from the opening gentle acoustic instrumental 'Exordium', with the final trio of tracks, particularly the closer 'Frozen Into The Grain', accounting for the lion's share of the faster, heavier moments. The variety is welcome, keeping any particular theme from becoming stale, but maintaining a consistent incremental feel of evolution rather than major leaps between tracks. It doesn't take many playthroughs for them to acquire a comfortable, flowing familiarity, which, depending on your point of view, will either reinforce the sense of it being a quality example of the atmospheric end of the genre, or invite the mild rebuke of not being entirely ground-breaking. 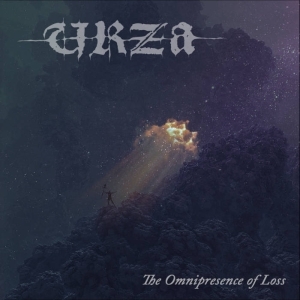 Overall, though, this is a well-crafted, balanced and eminently listenable album: one that lives up to its title in the way it conceals some greater depths than the approachable surface atmosphere initially suggests. It's difficult to find any faults with either the concept or the execution, or with the way Aeurtum has refined and matured its direction as a band. Recommended for those who like their melodies to come with a contemplative mood that embraces both sunlight and darkness.